SPAIN’S president Mariano Rajoy had the nerve to urge Ines Arrimadas to try to form a government in Cataluña. 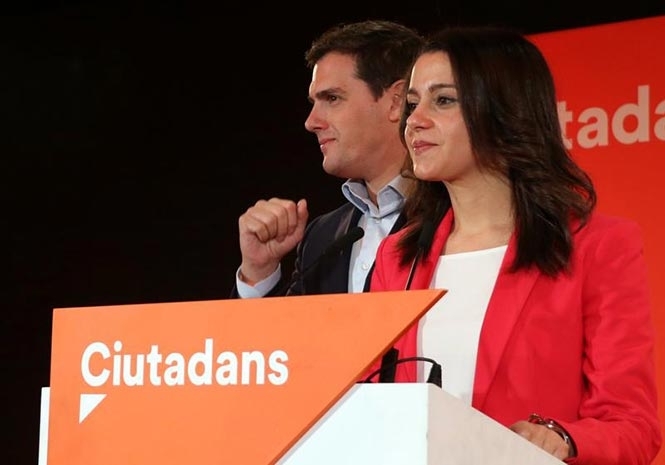 As Ciudadanos was the most-voted constitutionalist party, this was her obligation, he maintained, although Arrimadas knows she cannot compete with the combined seats of the pro-independence parties. Yet after the December 2015 general election when the Partido Popular lost its overall majority in the national parliament, Rajoy immediately refused to try to form a government despite heading the most-voted party. Rajoy wants to see a constitutionalist party in Cataluña but he also hopes to undermine Arrimadas now that Cs is inching its way up the national polls, overtaking Podemos and nudging the PSOE. Meanwhile, the Cs leader will wait to see who turns up for a pro-independence investiture attempt. Remanded ERC leader Oriol Junqueras, PDeCat’s former Interior chief Joaquim Forn and ANC leader Jordi Sanchez all won seats, as did ex-regional president Carles Puigdemont and the four members of his former government self-exiled in Brussels. They are sure to be remanded if they appear, but the separatist parties will be eight MPs short with no room to manoeuvre if they don’t. And that’s when Arrimadas will start manoeuvring. 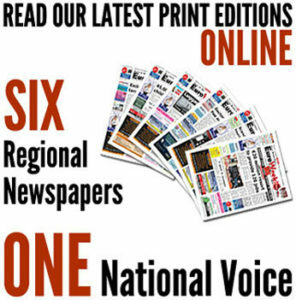 MARIANO RAJOY has committed Spain to increasing its NATO contribution by 80 per cent over the next seven years. He could have taken the trouble to inform the public first but, wanting to avoid answering awkward questions, Rajoy buried the announcement while Spain was captive in the clutches of Christmas. He admitted he promised to step up the country’s contribution during the 2014 summit meeting in Wales but so did everybody else. And like everybody else, it was assumed – or at home, certainly – that Spain was not going to cough up when the time came. So who does Rajoy want to curry favour with? Trump, who frequently trumpets about those who shirk their NATO dues? The pledge definitely won’t go down well at home, where millions are still out of work and where spending has been cut on more important things than international defence. THE last of the cruise ships chartered to house police and Guardia Civil officers drafted in to prevent the October 1 referendum have left Barcelona. The Ministry of the Interior sent between 5,000-6,000 officers to the region and the outside world’s view of Catalan independence is based on footage of Spain’s forces of law and order using an inordinate amount of muscle to prevent Catalans from voting in an unauthorised ballot. Neither did the images go down well in the rest of Spain, although censure from the constitutionalist parties who recognised that the Catalan government was acting illegally, was muted. But what should have been kid-glove treatment was iron-fisted and later that day in Cataluña, media coverage pushed people into voting who would otherwise have stayed at home. FRANCISCO FRANCO’s daughter Carmencita has died, aged 91. Exactly, Carmencita. Dictators are largely unloved except by their families. Previous articleEurope’s most wanted conman, Mark Acklom, traced?